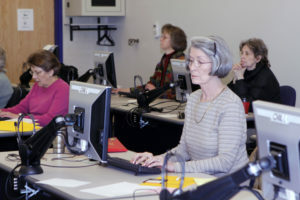 TAP is a technology training program that was first introduced in 2008 in a research study format to Otsego County older adults (age 60 and older). The project was backed by the Otsego County Commission on Aging, in partnership with the MSU School of Social Work, MSU Extension, and the University Center at Gaylord. The purpose of the study was to determine if providing technology training to older adults increased their use of technology and whether or not this training impacted other areas of their lives. After recruiting study participants through a county-wide survey, two groups of interested older adults were divided into two groups: an experimental group and a control group. Both groups were required to complete surveys at the beginning and end of the training, as well as at three and six months into their training. 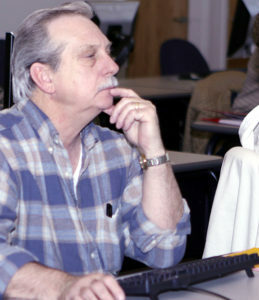 The experimental group was given six months of computer training from November 2008 through April 2009. This phase of the study was known as TAP1. TAP1 participants learned to make their own greeting cards. TAP covered the following topics in classes that were conducted once a week for approximately six weeks. Classes lasted two hours and were conducted at the University Center at Gaylord. TAP1 participant learning about Internet safety. They reported increased use of information and communication technologies, such as e-mail, instant messaging, etc. In November 2009, the control group was given the opportunity to receive similar training from their peers who had completed TAP1. This phase of the study was known as TAP2. Training for this group concluded in April 2010. 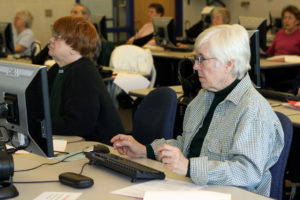 The program was so popular that participants requested additional training. To accommodate the need for additional technology training, the Computer Club (Later renamed the “Exploring the World of Technology Group”) was started. “Get over the idea that only children should spend their time in study.